With falling crude Guar Seed and Guar gum lost the Gain. Guar gum has fallen 6.1% in last week after crude settle down below USD 50/Barrel. Guar Seed fell down from 3200 to 3050/100 Kg and Guar Gum fell down from 5700 to 5350/100 Kg. Fundamentally Guar will face low supply and high demand during this financial year. It looks strong at lower side with good demand from Cattle feed Industry. Currently crude is the major factor which will predict the demand of guar gum powder. Last week crude recovered above 50 USD/Barrel and we saw good recovery in guar gum prices. Sowing of Kharif crop has been started. In irrigated area Farmers are avoiding Guar crop, they are more focused on Moong crop. In Rain fed area Farmers follow the same practice but here they are focused on Moth crop. In the same season Govt is putting all affords to control the pulses prices. Providing higher MSP, Providing subsidies, Providing high quality seeds, using intelligence agencies, Stopped the forward trade, Planning for contract farming, Agreement for supply of pulses with foreign countries. At another side Guar is emerging as demand driven self sustained crop. This is a major industrial crop from rain fed Area which is used to produce Guar gum powder, that is used in many industries. At production side Guar seed production will remain below 1,80,00,000 bags. The quality of guar seed produce will also poor. At lower side guar seed will not break the level of 3000 and Guar gum will not break the level of 5000. Currently crude is putting pressure on guar gum prices. Crude will recover in next week with some fluctuation. In next two months it will go beyond the range of 50 USD/barrel. Once crude will come out from the zone of 50 USD then guar gum will recover very fast. In next week Guar will take upward movement because investors from Chana trade will come out Bajara and Guar are only two Kharif crop which are taken in Guar growing belt and traded on NCDEX/ Forward market. There are existing prediction that Bajara cultivation area will also increase and production of bajara will also remain high, so there are no any major chances in earning in bajara contracts. Currently guar is only crop which can give excellent return to investors as it is traded low and it is good entry point with no risk of loss. In July contract there will be buying for Guar seed and Guar gum for October, November and December contracts. There will be more buying for Guar gum and Guar seed will follow the trend on Gaur gum. Investors will make long term positions with low cultivation estimates. Once the sowing activity will finish then traders will start to work on stocking for physical stock. Quality of new guar crop will be very poor. Quality of the existing crop is better. All the big companies will like Hindustan, Lucid, Rajasthan, Shriram, PFT, Vikas, Jai Bharat will buy a good quantity of guar seed for stocking for their yearly requirement. To sustain in market these companies will have to process the guar seed into guar gum powder..
Guar will gain in spot demand. All the pulses are at higher level so there is more risk of loss. Guar is an attractive commodity to invest at lower level. Guar Churi Korma is already giving good support to Guar seed prices. In the next 4-5 month there will be requirement of concentrate for dairy cattle. In Rainy period and Winter period is major milking period in cattle. All cattle feed are very costlier today. Guar is cheapest alternate. At lower side guar is very strong. Fundamentally there will be tight supply and high demand at low price. Crude price will keep improving slowly and slowly, Demand of guar seed and guar gum from big player will remain same. Except the Oil industry demand from other industries will improve at low price of guar gum. Guar gum recovered more than 10 % in Last week with low cultivation predictions. Guar gum recovered more than 10 % from Rs 5100/100 Kg to 5700/100 Kg in last week. This was biggest recovery in a week after last production. Guar gum got good support from low cultivation predictions. Farmer will give more preference to pulses after heavy recovery in Chana prices. After the fall in crude prices Guar gum was hit worst that Guar seed. Guar seed remained stable due to Guar Korma and Guar Churi prices. Crude oil is also stabilizing above 50 USD/ barrel. In last 5 month Crude has been costlier up to 70 %. In primary prediction World Bank estimated that this year average crude prices would 37 USD/ barrel. But Now World bank has revised it from 37 to USD 41/barrel. By the end of August crude will traded above 60USD/Barrel. With the growing crude major recovery will come in guar gum prices. With Growing Guar Gum prices Guar seed will also grow. But it wil grow slowly and slowly. Up the harvesting of crop guar seed will touch 4500/100 Kg and Guar Gum will touch 8000/100 Kg. During this period Guar seed has also recovered more than 5 % from 3050 to 3200. It is showing stability at this level. In Jodhpur market Guar seed is traded at RS 3200/ 1000 Kg. Guar churi and Guar Korma is giving very good support to Guar seed prices. This year the quality of the guar seed will be also very poor. In high humidity conditions we can see more than 70 % failure of Guar crop specially due to Bacterial blight. It is very severe disease and within 4-5 Days it cover complete farm in favorable conditions. Another main disease in root rot. Generally this disease accrue in those field where Guar crop is taken on repetition on same farm. 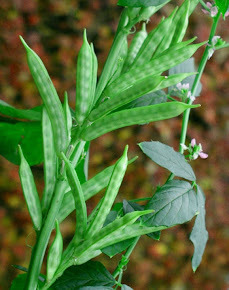 Guar is grown in wide area in guar growing belt regularly since last three four years. Now there are many chances of attack of root rot. With low production data, and low cultivation area stockist and speculators will also active. IF small- small quantity is stocked with small traders/ stockist then a major stock will not reach up to market. All the commodity prices are increasing due to inflation and production cost then prices of guar will also show 10-20% growth. If the production of Guar does not remain good in this year or farmer will not get respective prices then next year three will be further drop in Guar cultivation area. State Govt and central govt are pushing the Pulses cultivation. As per state govt estimate Guar will be sown on 36,00,000 Hectare area from total sown area of 1,53,00,000 Hectare and there is further prediction that Moth will replace 21,00,000 hectare area from the Guar area. Then Guar crop may shrink on 15,00,000 Hectare area. In this condition guar production will drop very low. Irrigated area farmer will not prefer Guar in current market condition as the opportunity cost of their land is more than the rain fed area. Major change in Guar seed and guar prices will come in Last July and First August. In this period Guar seed sowing data will release. IF Guar touches 4500/ 100 Kg then Guar Gum prices will automatically reach to 8000 as cost of input. IF we add other cost then INR 9000 is feasible rate for Guar gum. Might be June contract can settle bit low as investor will be under pressure of settlement but major changes will be noticed on October and November contracts. If spot demand rise further we June and July contract can also jump. If Govt puts stock limit on pulses then stockist may start work on Guar or other crop. Specially in Guar growing belt Guar is major cash crop and it will attract stockist. Current growth in Guar prices are due to spot demand and no profit booking has noticed in last week. Guar Gum Seed Cultivation area will go down up to 40-50% in India. This week govt has announced the MSP ( minimum Support Price ) for pulses crop. Where mung MSP is decided 4650+200 = 4900/ 100 Kg. Farmer have already made his mind to shift from Guar to Mung and Moth ( Specially in Guar growing area ). Now they will forced to leave Guar seed cultivation. One side Govt has given support for pulses production. At other side Govt is neither promoting nor providing any help for guar cultivation. Govt is also not investing anything on Guar R&D. Guar gum seed Cultivation area will go down up to 40% and Guar gum production will go down up to 50%. Even after so many over supply and decrease in demand Guar is major source of Foreign Exchange earning from export of Guar Gum, Guar Korma, Guar Churi. This foreign exchange is used to pay the bills for import of pulses or Oil seed. Milk is as important as pulses consumption. Milk is only source of animal protein for Vegetarion population. Guar is an industrial crop which provide a lot of employment opportunity and guar gum powder is used in many industries. Even for the food purpose Guar is used. In replacement of Guar gum powder India is importing Xanthon Gum powder. Which again cost us in Foreign exchange. 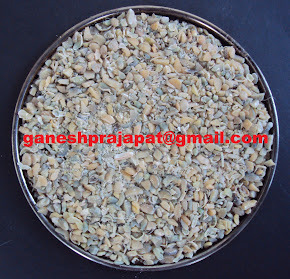 If production goes down 50 % ( it will go down) after four months then we will see Guar Seed at Rs 4500-5000/100 Kg. 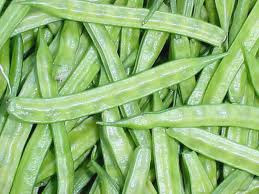 Guar gum will be traded at RS 9000/100 Kg-10000/100 Kg.. Intelligent farmers knows this fact. Govt must rethink on agriculture policy. Govt should work on saving the agriculture instead of Farmer ( He is not farmer he is farm labor working on under employment condition). Reorganize the agriculture land promote large scale mechanical cultivation. To provide the sufficient food to 125 Crore population must be first goal for Govt. Provide complete social security to current land holders. 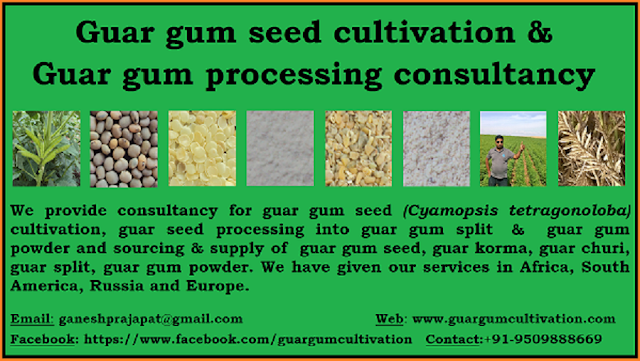 We provide Guar gum seed cultivation consultancy with complete on farm solutions. We have completed successful assignment in Russia, Europe, Indonasia, Tanzania, Argentina and India. We also provide complete solution for Guar gum powder and split processing. We provide detailed information related to Guar gum product, Guar gum seed, Guar gum cultivation guar gum powder market intelligence. This is best time to go for Guar gum seed cultivation. We can take large scale completly mechanical guar gum gum seed cultivation assignment. We provide complete solution for Guar seed selection, Guar crop water management, guar crop plant protection, guar gum fertilizer and nutrient management. Please contact us for further details.